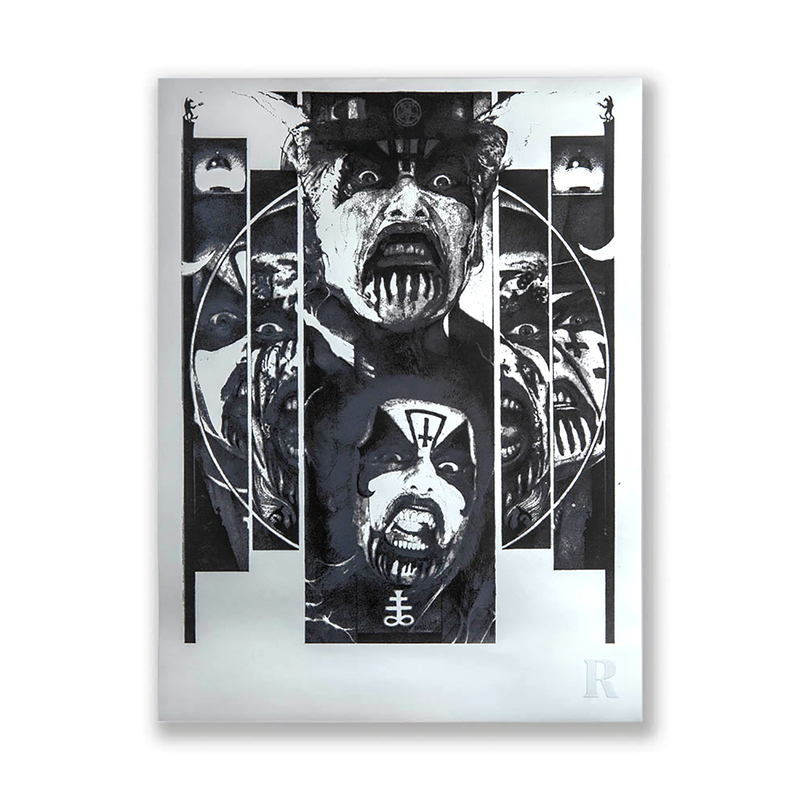 This commissioned artwork for Revolver’s DEC/JAN 2019 issue by artist Manuel Tinnemans/Comaworx was originally created using ink/pencil on paper and inspired by Mercyful Fate's "Black Funeral" and King Diamond's "The Possession" and "Omens." Tinnemans is known throughout the heavy music community for his stunning artwork for acts like Deathspell Omega, Portal, Necrophagia and many more. Now, the print is available as an 18” x 24” limited-edition silkscreen poster printed by Burlesque of North America. This three-layer screen print on Chromolux metallic silver is embossed, hand-numbered and signed by the artist.